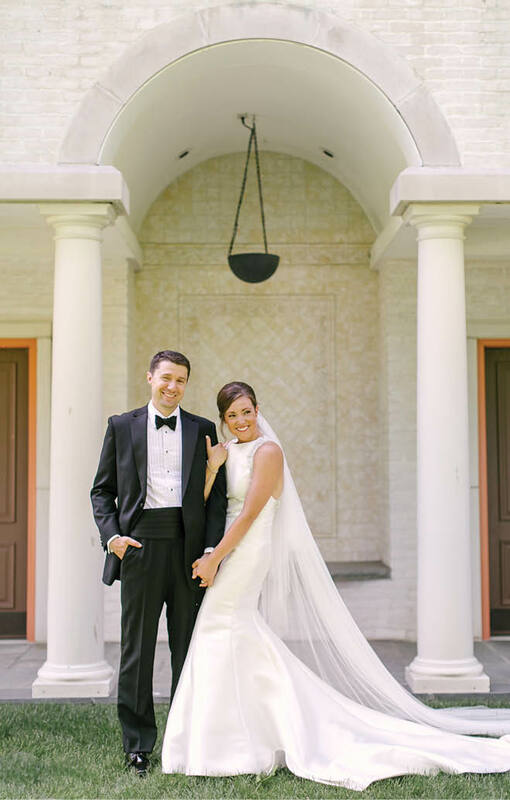 When Alysha Witwicki and Brenton Gospodarek began dating, they spent long nights studying for math tests, went on movie date nights and worked out at UW-Milwaukee’s Klotsche Center. 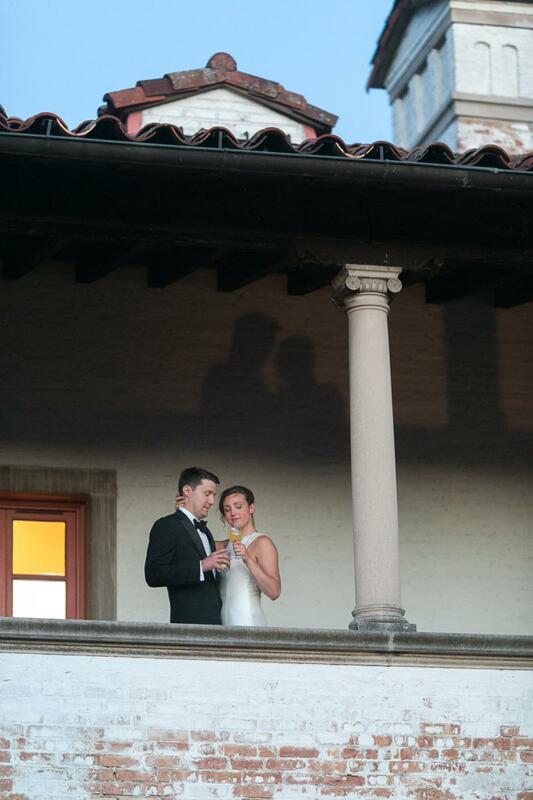 Ten years later, they hosted the wedding of their dreams. 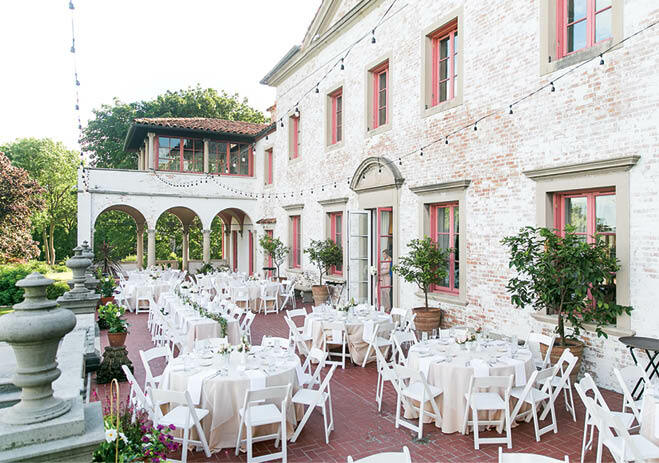 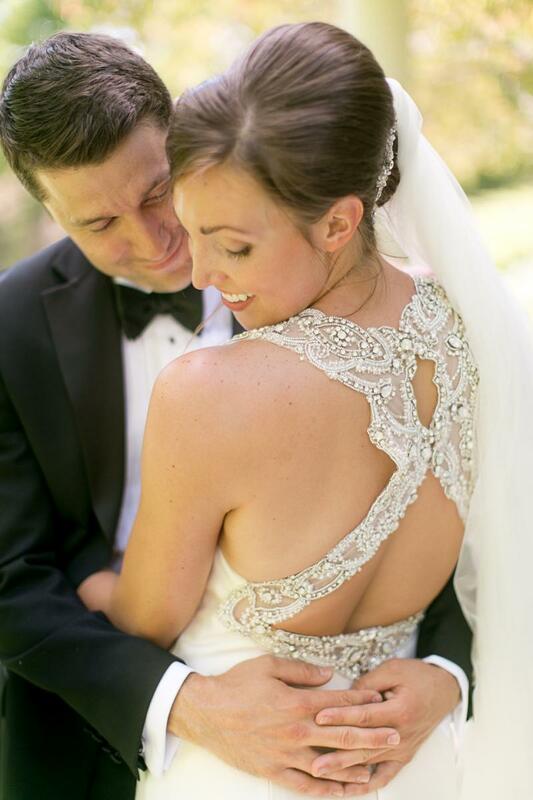 Combining their desire for an intimate venue with their appreciation for historic architecture, Alysha and Brenton immediately knew Villa Terrace was the place for them, and their wedding theme centered on the nearly 100-year-old mansion. 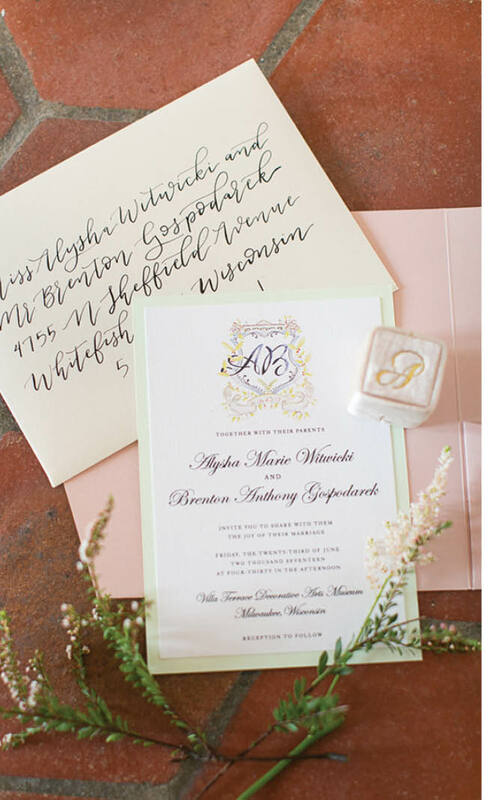 On the big day, guests were welcomed by a monogrammed watercolor crest painted by Brenton, a graphic designer and photographer. 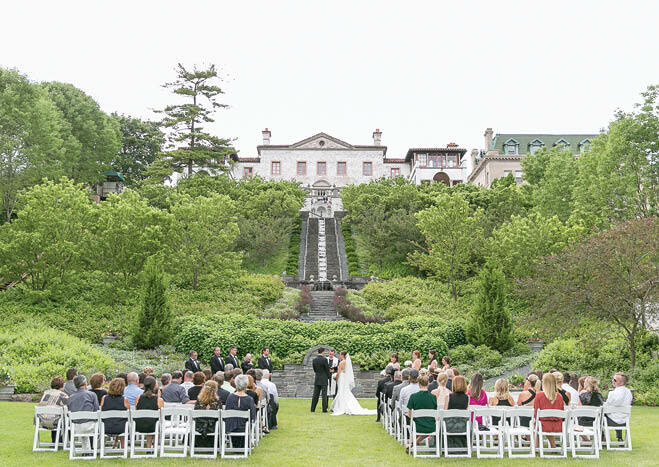 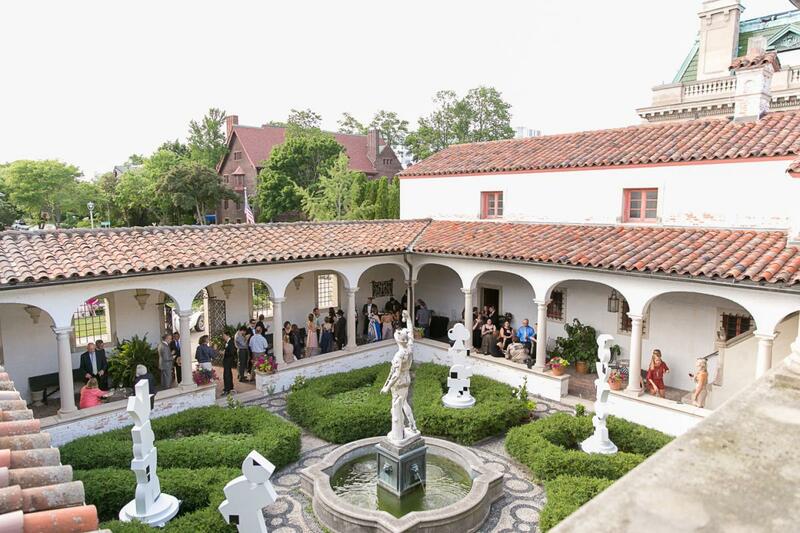 The ceremony was held in the lush garden below Villa Terrace; dinner on the terrace gave guests a gorgeous view of same perfectly manicured gardens and picturesque Lake Michigan. 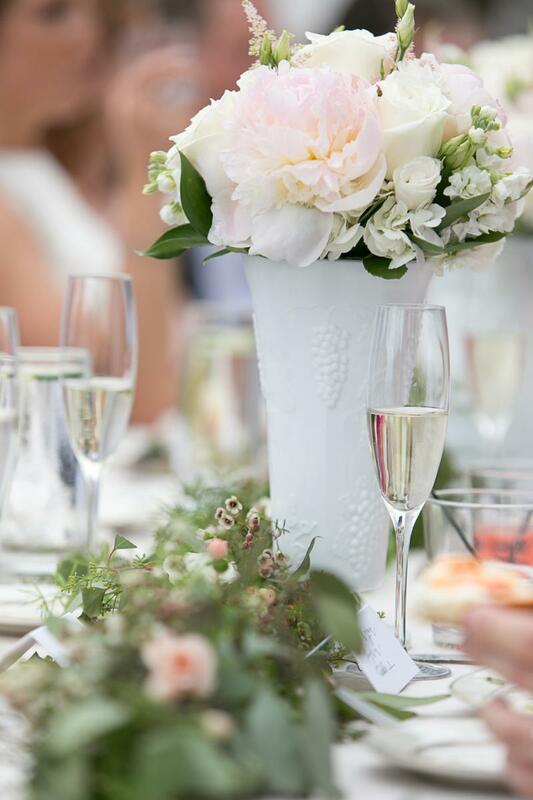 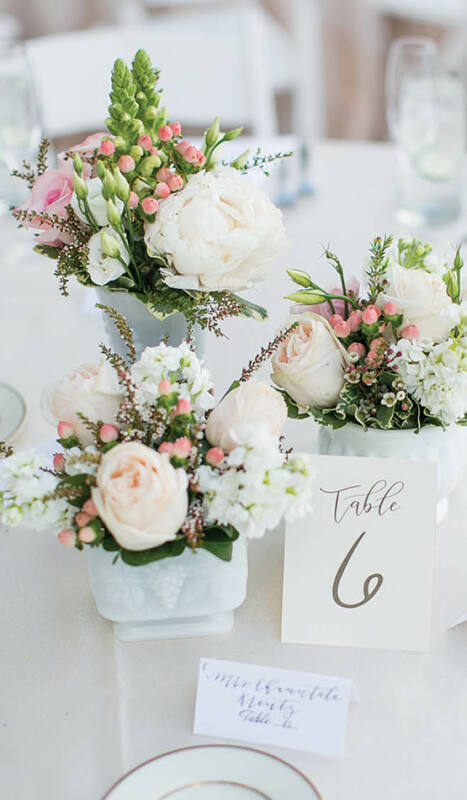 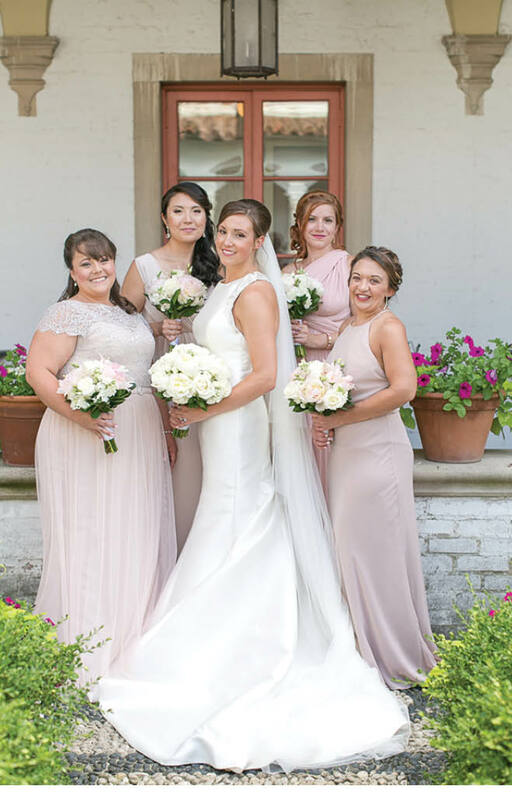 Luxurious bouquets and centerpieces in blush and ivory tones were arranged in the bride’s family’s milk glass collection, playing on the vintage elegance vibe. 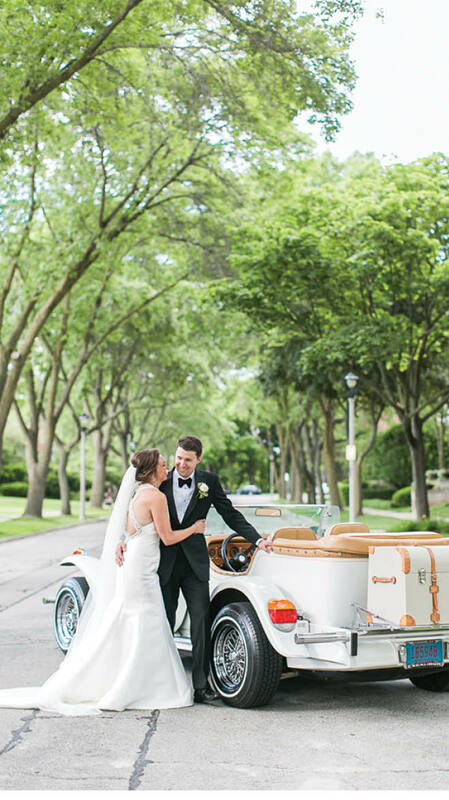 Following their first kiss as husband and wife at the ceremony, Brenton and Alysha walked back down the aisle to “Love Is All Around,” the theme song from the Mary Tyler Moore Show, and got into a vintage Excalibur, driving to take photos around the Lake Park neighborhood and bask in the excitement of the day. 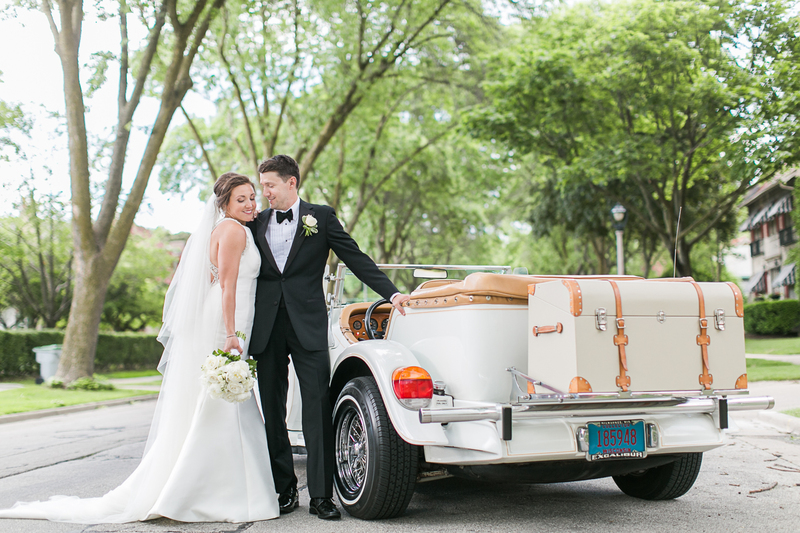 As they maneuvered through the streets of Milwaukee, passersby honked and waved—love really was all around.